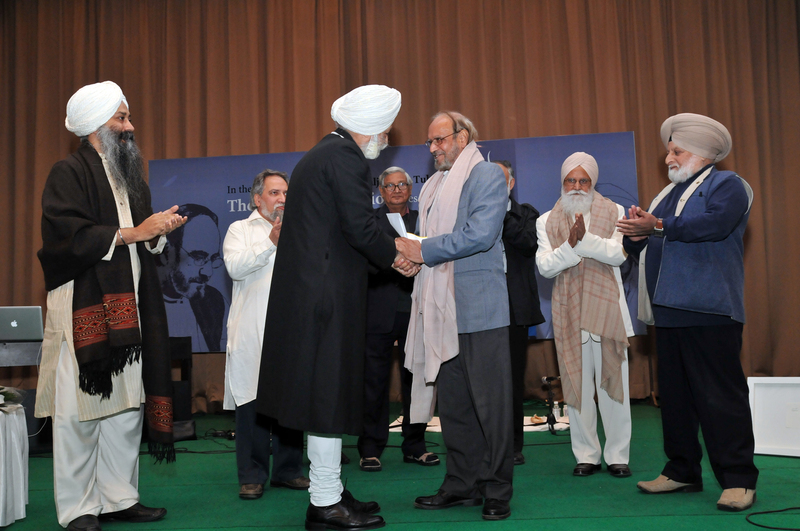 The Anād Foundation takes pride in announcing that the Anād Kāv Sanmān for the year 2009-2010 is being conferred upon Navtej Bharati and Ajmer Rode. The Jury especially underlined the significance of their path breaking work, Leela, which runs over a thousand pages and remains unparalleled in the history of Punjabi literature for its courage to explore and experiment with the poetic word, cultural memory and our day-to-day existential struggle in a broader context of mystical humanism. The jury comprising Prof. Satyapal Gautam (chair), Shri M.K. Raina, Prof. Bhagwan Josh, Prof. Renuka Singh, Dr. Madan Gopal Singh met, except Prof. Gautam who participated through video conferencing, on September 27, 2010 and deliberated thoroughly on the award. Bhai Baldeep Singh, the Founder Chairman of The Anād Foundation, convened the Jury and Professor Bhagwan Josh officiated the chair. Advocate Diljit Singh represented Mr. K T S Tulsi, in the proceedings. The Anād Kāv Sanman and the Anād Kāv Tarang poetry festival were started by The Anād Foundation in 2008 to honour the memory of Punjabi poet Baljit Kaur Tulsi. The award, offered to eminent poets, includes a cash prize of Rupees 2,25,000 (5100 USD. approx.) to be shared by the sibling poets, a citation, a silver plate each and turbans will be presented on Sunday, November 28, 2010. The Anād Foundation is organizing the third edition of the festival Anād Kāv Tarang, an evening of poetry reading scheduled to be held at Sri Sathya Sai International Centre, Pragati Vihar, Lodhi Road, New Delhi at 6.00 pm. The Anād Foundation is a non-profit organisation dedicated to the promotion and preservation of culture, with focus on the preservation and perpetuation of the endangered intangible cultural heritage and traditions of South Asia. The Anād Foundation’s mission is to establish institutions to facilitate the recovery and enhancement of the intangible (sukham virsā) and tangible (sthūl virsā) heritage of South Asia as a priority. Among the several aims of the Foundation is conferring Anād Sanmān, in the fields of poetry, music, dance, sports, science, technology, art, literature, theatre, cinema and handicrafts, etc. and for life time achievements in fields that the Foundation is directly or indirectly concerned with. The Anād Foundation has already set up Anād Archives and Research Center, a world-class audio-restoration studio in New Delhi, where many rare archival recordings have been restored and preserved. Anād is in the process of setting up Anād Conservatory: An Institute of Arts, Aesthetics, Cultural Traditions and Developmental Studies in Sultanpur Lodhi, Punjab. 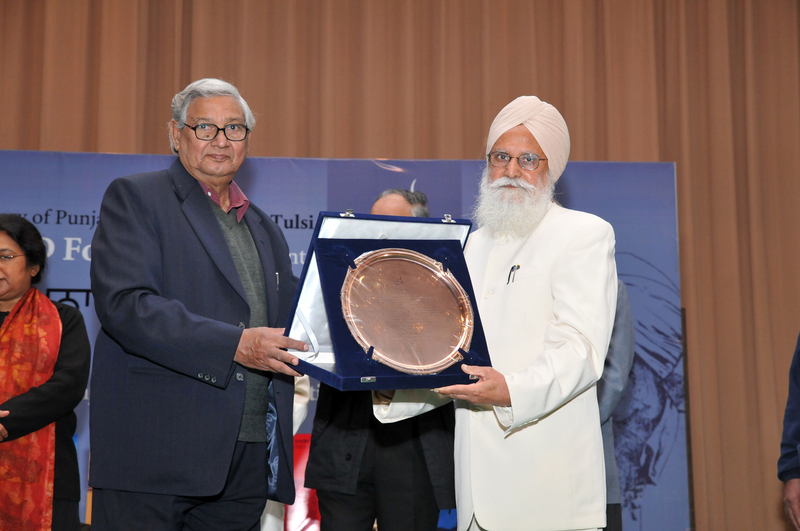 The famous Punjabi poet, Surjit Patar, was the first recipient of this prestigious award in April 2008. Amarjit Chandan, was its second recipient in November 2009 for his seminal contribution to Punjabi poetry and for bringing Punjabi poetry on the international scene.